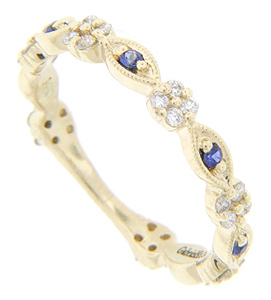 This beautiful antique style wedding band features a pleasing array of colors. Clusters of four white diamonds alternate with blue sapphires all set on a gleaming 14K yellow gold base. 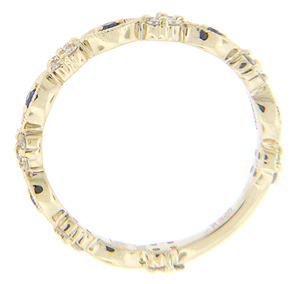 The wedding ring measures 3mm in width. Size: 6 1/4. We can re-size.